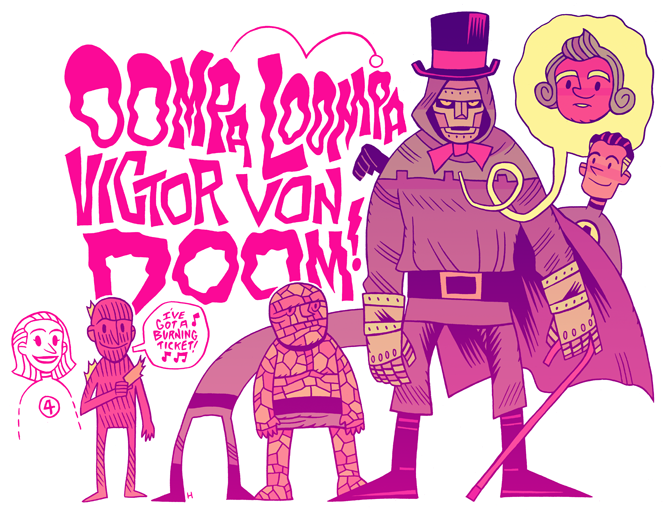 Posted October 24, 2011 in Dan Hipp, Doctor Doom, Fantastic Four. 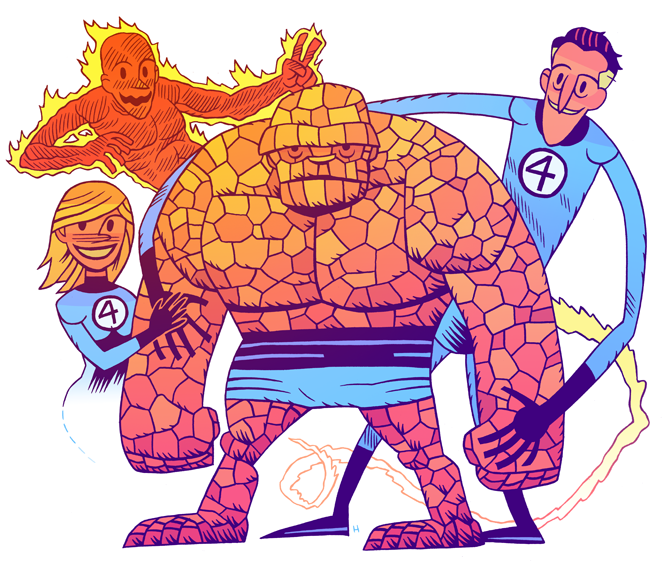 Dan Hipp creates “nerdy pop-culture art” in a singular, colourful style that’s always striking and comical. He is the creator of The Amazing Joy Buzzards, Gyakushu and the forthcoming all-ages book, Stray Days. You can find a plethora of Dan’s work at his blog and Flickr.